The newly released iPhone (iPhone 8/8 Plus and iPhone X) alongside the latest iOS version – iOS 11 brings users plenty of wonderful new features and enhancements, which achieved significant improvements to the overall user's experience. Attracted by the excellent creations, plenty of Android users choose to switch to an iPhone. If you’re one of them, then you may be concerned more about how to move all your valuable files from old Android device to new iPhone for free. 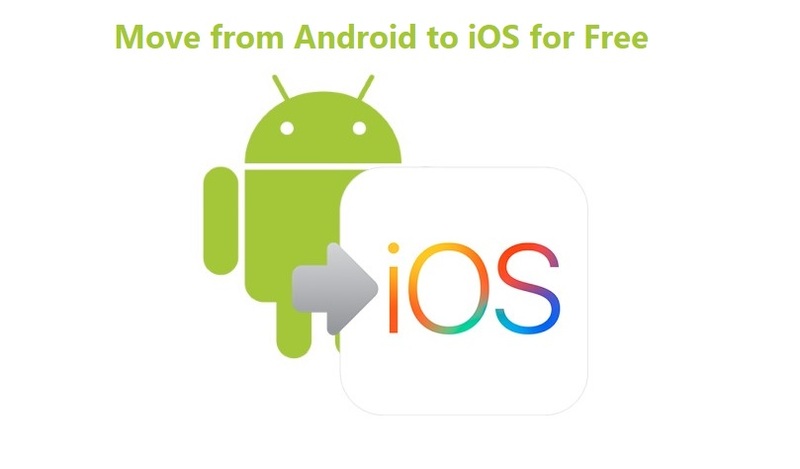 Since lots of Android users are stuck on this problem, here we would like to share 2 reliable & efficient solutions to help you freely move from Android to iOS. 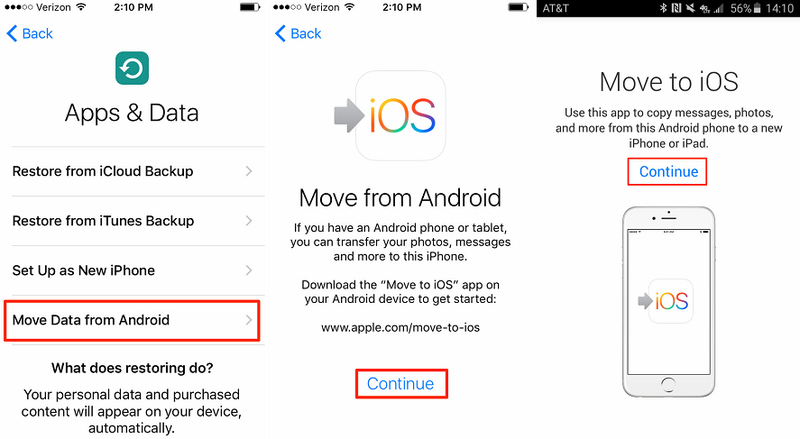 To make it easier for Android users to transfer data to iOS devices, Apple designed its first Android app called Move to iOS. With this app, you can move your photos, contacts, videos, text messages and more important files from Android phone to new iPhone. However, what we need to remind is Move to iOS App sometimes may fail and lead to data loss. But it is still worth trying. Now, let’s start with it. 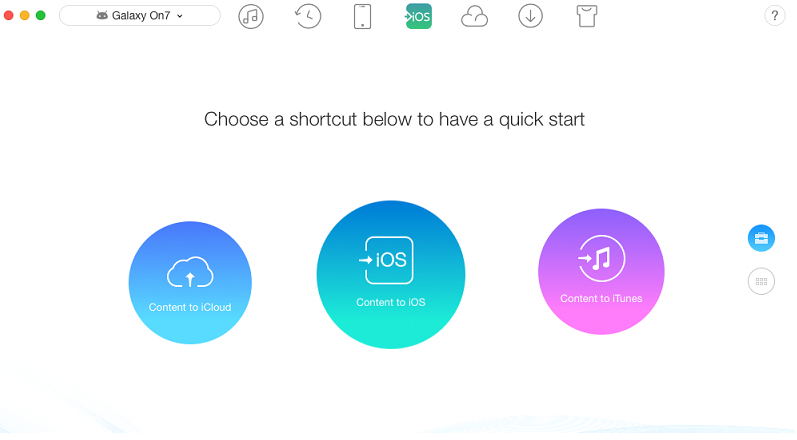 Your iPhone/iPod/iPad is running iOS 9 or later. Your Android phone is running 4.0 or later. Make sure your Android phone and iPhone are connected to Wi-Fi. Make sure both your Android phone and iPhone have enough power. Step 1: Set up your new iPhone > Go to the Apps & Data screen > Tap Move Data from Android option > Tap Continue to get a ten-digit or six-digit code that you will need on your Android device later. Step 2: Download and install Move to iOS app on your Android phone > Tap Continue > Read and agree to the terms and conditions > Tap Next in the upper right corner of the Find Your Code screen. Step 3: Enter the code on your Android phone > Choose the data you want to move to new iPhone > Tap Next to start the process. Remember not to use the two devices until you see the loading bar appears on your iPhone. As mentioned above, we may be likely to get data lose by using Move to iOS app to move our data. So, here we will share you another 100% safe and free data transfer tool - AnyTrans to move data from Android to iOS without data loss. 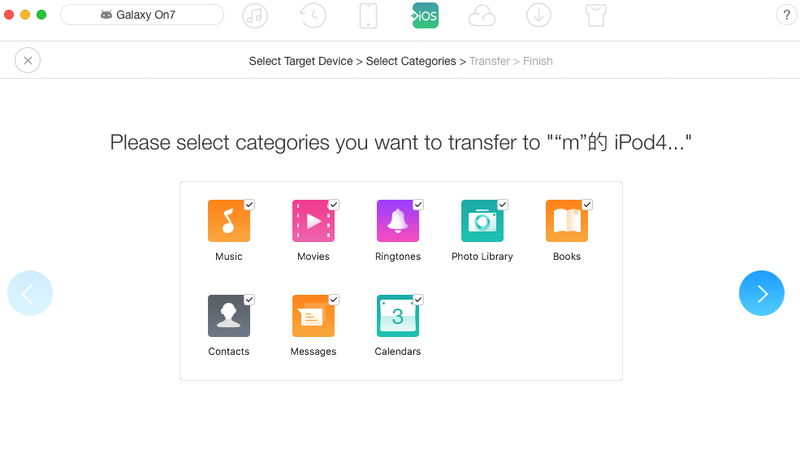 As the #1 Android to iOS data transfer, AnyTrans supports selectively transferring almost all our Android data to iOS in just 1 click. Furthermore, as other users recommended that AnyTrans is more easy-to-use and stability to move valuable data from Android to iOS. Let’s check its simple steps now. Step 1: Download and install AnyTrans to your Mac/PC, launch it > Connect both your Android phone and iPhone to the computer via its USB cable > Click Content to iOS mode. Step 2: Confirm your source device and the destination device, then click right arrow > Check the data you want to move to your new iPhone and Click the right arrow to begin the transferring process. As you can see from above, it is quite easy to move from Android to iOS with AnyTrans. Just 2 simple steps are needed to complete the job. So, if you prefer a more user-friendly and reliable way to move your data, then we recommend AnyTrans.